Intranet administrators and IT managers will love the new features in ThoughtFarmer 3.7. It opens up new deployment options, introduces Active Directory password management, improves cut & paste from Word, and includes several other useful enhancements. 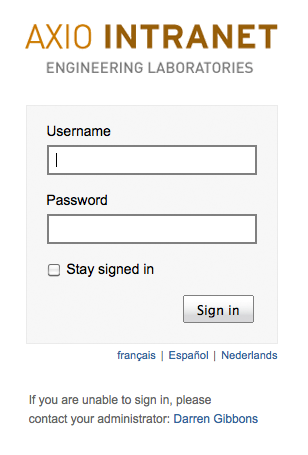 By default, ThoughtFarmer uses Windows Integrated Authentication, which enables elegant single sign-on from computers connected to the network. 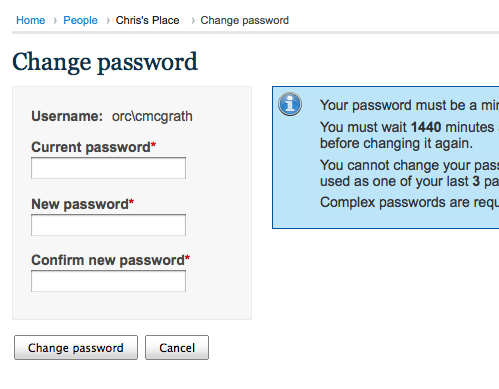 For off-network computers, such as home or traveling users, ThoughtFarmer now supports forms-based authentication with “Stay signed in” functionality*. 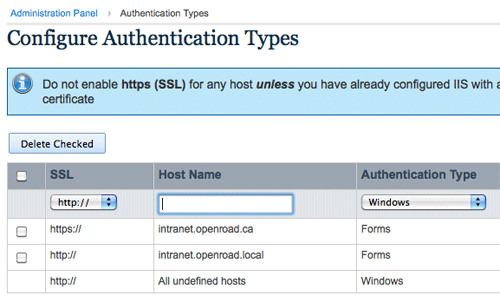 In seconds, administrators can configure different modes of authentication for different domains from the Authentication administration screen. *To access from the internet, ThoughtFarmer web server must be located in DMZ or other internet-accessible network region. Have you ever needed to change your Windows AD password while you were away from the office? It’s a major pain for people who are often off-network or who use Macs. ThoughtFarmer 3.7 warns you of expiring AD passwords and lets you change them — wherever you are, and whatever platform you’re on. 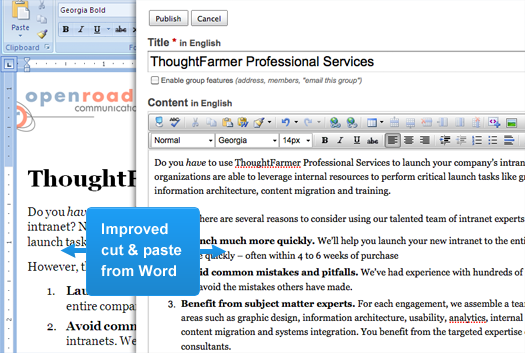 ThoughtFarmer 3.7 includes an upgraded rich text editor with improved cut & paste from Word. Lists, tables and font styles all transfer more effectively than ever. ThoughtFarmer 3.7 includes a new file browser that lets you select and upload multiple files at once — either to insert into the rich text editor or to attach to a page. 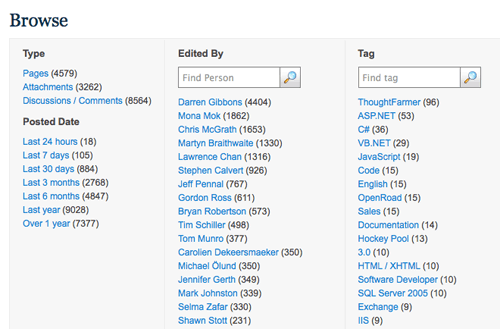 ThoughtFarmer 3.6 introduced the ability to refine your search by filters. ThoughtFarmer 3.7 introduces a dedicated browse filters screen. This method of finding content is extremely useful, especially when you are unsure of the name or content of a page. For example, if you need to find a meeting agenda that a coworker created, select their name from “Edited By” and select the timeframe from “Posted Date”. ThoughtFarmer’s email notifications are useful signals that keep pages current and keep discussions moving. Comment text is now included in emails, so you can follow a discussion entirely via email. If comment security is an issue, administrators can turn this feature off. And as always, you can opt out of email notifications. Are you already a ThoughtFarmer client? Email support@thoughtfarmer.com to request an upgrade.